The factory owner demanded sixty hours a week from the young women employed at the Government Envelope Works on South Ann Street. But apparently this was not enough for the boss, so he ordered “his girls” to work into the night on a regular basis. 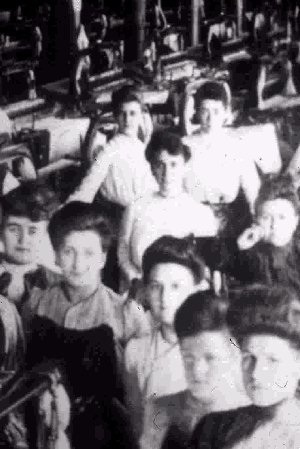 Piecework rates for a six-day week earned the factory girls between $5 and $9. It was March 1907. At the time, the average union construction worker earned at least $18 a week for about 49 hours work. The factory girls were tired of working in excess of 80 hours a week, and some of them decided to do something about it. Eight girls refused the mandatory overtime. Actually, they had only refused to work more than two additional nights a week, but insubordination is insubordination. They were fired. The envelope factory was doing well. It had established both first and second shifts in order to keep up with demand. The first shift began at 7:00 a.m. and ended at 5:00 p.m. Any department that was short would be filled by mandating the first shift workers to stay over. Any girl who was even a moment late for her shift would not be allowed to work that day. The Government Envelope factory workers already knew that. When the eight workers were fired, the overtime situation only got worse. On March 18th, fifty factory girls went on strike to protest the intolerable conditions. Within a day, the eight were back to work and an “amicable agreement” was made to end the forced overtime. 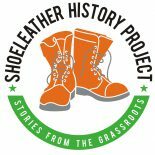 This entry was posted on May 2, 2013 by Steve Thornton in Direct Action, Hartford, Labor, Women and tagged connecticut, Direct action, hartford, labor history, radical history, shoeleather history, union strike, womens history.